Is Stephen Elop the next Microsoft CEO? Nokia's share of the smartphone market has dropped precipitously over the last three years. Stephen Elop wasn't able to save Nokia, but he may be tapped as Microsoft's potential savior. Microsoft is buying Nokia's mobile phone business for $7.2 billion, and Elop stepped down as Nokia CEO as part of the deal. Instead, he'll become the chief of Microsoft's devices and services business. Confirming the obvious, Microsoft CEO Steve Ballmer told media outlets Monday that Elop is a candidate to replace him after he retires within the next year. Any new Microsoft CEO will have to lead the company through a difficult transition, transforming it from one of the world's largest software makers to a "devices and services" company. That's the type of massive turnaround that Elop wasn't able to pull off at Nokia, in part because the company tied its fate to Microsoft (MSFT) with an operating system partnership in 2011. Nokia (NOK) had been the clear smartphone leader in 2008, when Nokia still held a commanding 41% share of the market, according to ABI Research. But then Google' (GOOG)s Android launched in late 2008, and it grew into a juggernaut thanks to partnerships with smartphone makers like Samsung and HTC. Meanwhile, Nokia's core Symbian platform fell sorely behind. Elop recognized that problem when he joined Nokia in September 2010. A few months later, he sent employees a now-famous memo describing the company as standing on a "burning platform." He warned that Nokia's rivals were beating the company on all fronts, and if it didn't find a way to innovate more quickly and effectively, it would die in short order. So, Elop decided that Nokia should drop Symbian and stop working on new operating systems altogether. Instead, Nokia partnered with Microsoft to become the flagship manufacturer for Windows Phone. That was a bad bet. 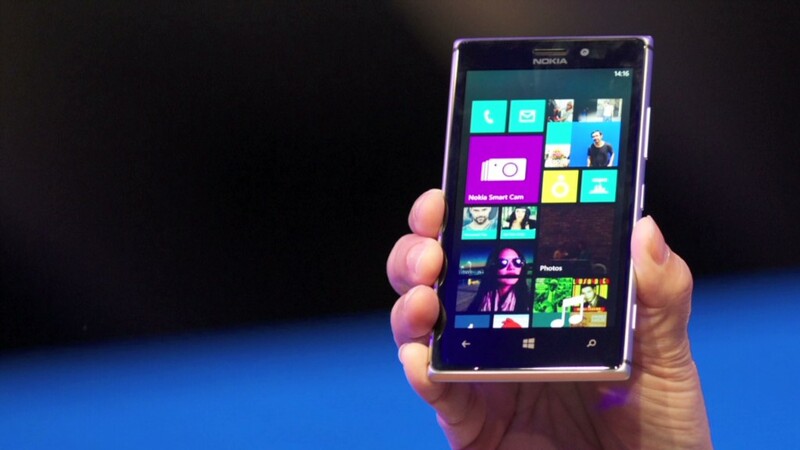 Windows Phone failed to take off, commanding less than 4% of the smartphone market, according to IDC. Nokia was the only company to put muscle behind Windows Phone -- the Finnish phone company made 82% of the Windows Phone devices sold last quarter. That resulted in a relatively tiny ecosystem of apps for Windows Phone, and consumers have been turned off to it. Nokia's Lumia line of Windows Phones garnered positive reviews, but sales haven't been strong. Even a 32% jump in Lumia sales last quarter isn't worth much when you consider the low baseline. Meanwhile, Nokia has lost €3.4 billion ($4.5 billion) over the last eight quarters. So is Stephen Elop the next Microsoft CEO? If he is, he'll be taking over another company that is hoping to redefine itself. That hasn't exactly proven to be his forte.